This post is part of a multi-part series on home care best practices for Parkinson’s care. To view the previous posts, click here. Over the past decade, there have been remarkable changes in treating Parkinson’s disease. The development of new drugs and a better understanding of how to use them have significantly improved the lives of millions of Parkinson’s sufferers. While keeping track of medications can be challenging, thanks to reliable homecare systems and homecare software, it can be done. ClearCare, for example, is proud to offer the most sophisticated of homecare systems available in an effort to provide better quality homecare for Parkinson’s patients. There are a variety of medications used to treat the symptoms of Parkinson’s. Although there are general guidelines doctors use when prescribing medications, each Parkinson’s patient must be individually evaluated to determine which drug or combination of drugs will work best. According to the Parkinson’s Disease Foundation, Carbidopa/Levodopa (Sinemet) is the most effective medication for treating Parkinson’s. There are many different preparations and strengths of this medication, so Parkinson’s patients must be extremely careful when renewing prescriptions. Manufacturers prepare the pills in different ways so there is a risk of accidental overdosage if patients receive an alternate formula. Homecare providers can double-check prescriptions using homecare software, such as ClearCare in order to eliminate such mistakes and provide alerts to family members when refills are needed. Most patients with Parkinson’s disease can be sufficiently treated with drugs to alleviate the majority of their symptoms, but medication dosages may need to be adjusted over time. The use of homecare systems, such as ClearCare, makes monitoring such medication changes simple. Caregivers can make note of the patient’s prescriptions, dosing instructions, and renewal information in ClearCare’s easy-to-use homecare software. Families and doctors can be kept in the loop and up-to-date thanks to web-based homecare systems like ClearCare. 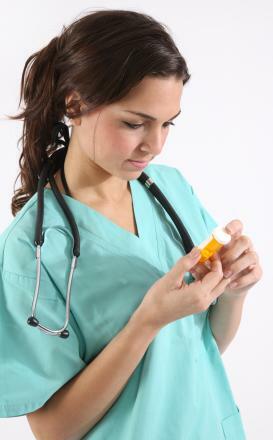 When medicine is administered by the homecare provider, the agency and loved ones are immediately notified. Such level of supervision goes a long way in providing peace of mind to families of Parkinson’s patients. Homecare systems are invaluable when it comes to scheduling regular exercise. Caregivers can refer to their homecare software before each shift and review which activities the patient enjoys and what times work best for incorporating exercise. Medication management and physical activity are equally important in managing Parkinson’s disease. With a robust homecare software allows caregivers to help patients with both – plus much more.